We know your vacation time is precious, which is why we have put together a list of our favorite places to grab a meal near downtown Traverse City to expedite your decision-making process! Below you will find ten pretty great places to grab a bite to eat. Bon Appétit! Cousin Jenny’s - Cousin Jenny’s is your go-to kinda lunch spot, with a friendly staff and mouthwatering pasties, you’ll definitely want to check this place out. The meat turnovers are a specialty of Michigan’s Upper Peninsula, originally a favorite eaten by the miners. 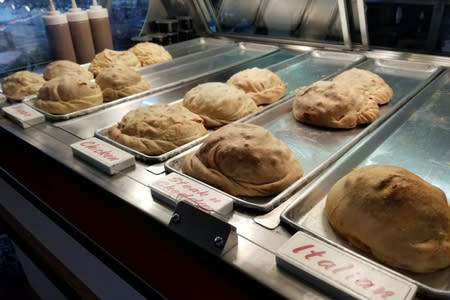 Pasties are a perfect lunchtime meal; eat at their cozy restaurant with indoor and outdoor seating, or take some to your favorite spot for a picnic. Try one of their breakfast pasties and visit them for either lunch or dinner as well! Green House Cafe - The Green House Cafe is a lunch spot you don’t want to miss. Ready your taste buds for eight daily homemade soups, or check out their lunch specials menu which offers a featured sandwich, a hot plate, and a salad to choose from. 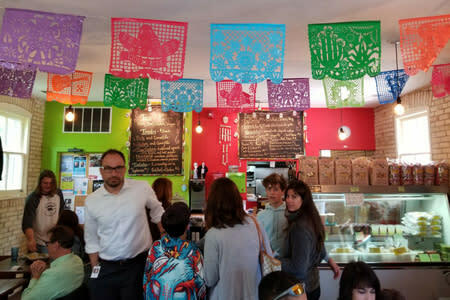 Located right downtown, you can easily get to the cafe from anywhere in the area. Since 2000, Green House Cafe has been serving the Traverse City community, establishing themselves as a regular spot for both locals and visitors alike. Raduno - Did someone say fresh, homemade pasta? Yes! "Gather and Eat" is their slogan and that’s a perfectly fitting phrase for this fun place just outside of downtown. Raduno is a newer addition to the TC dining experience, but shouldn’t be overlooked. A wonderful selection of sandwiches, pasta dishes and salads are all waiting for you to gobble down. 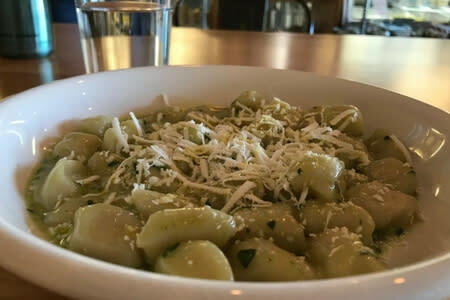 My highest recommendation is their Melt-In-Your-Mouth Gnocchi, you won’t be disappointed. The deli and café always have new food choices, so be sure to check them out each time you’re in TC. Harvest - Established originally in 2013 as a food truck, Harvest has quickly become one of the most popular places to grab a meal in Traverse City. Recently moved to a new location, the restaurant sports a fun and welcoming atmosphere. A local favorite is the Korean Beef Tacos, or if you’re looking for something smaller be sure to try their Flash Fried Street Beets. With plenty of outdoor and indoor seating, you can easily find a spot and get your food quickly. If you’re not looking to sit down and prefer something on the go, you can also find their food truck at The Little Fleet on the East end of downtown. Oh, and did we mention they also serve breakfast? Yum! Spanglish - Hidden a bit outside of downtown in the Village at Grand Traverse Commons, Spanglish is a great place for some Mexican eats. Anna and Vicente have been cooking together for a long time, and their food has become a favorite spot for locals. Highlights include tamales, burritos, and tostadas. Don’t forget to grab a container of their salsa to-go for a perfect summer snack, or to serve with your next home-cooked meal! 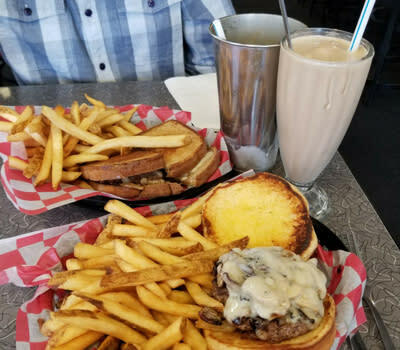 Slabtown Burgers - You might want to skip a meal before heading to Slabtown because you’re going to want to savor every single bite of your food here. The restaurant is in historical Slabtown, a working-class neighborhood from the lumber years in the 1880’s. If you’re a burger lover you might be in heaven, because the options are endless. Try any of their specialty options or create your own. Not a burger person? Not an issue whatsoever. Sandwiches, wraps, salads, soups and hot dogs are also on the menu. 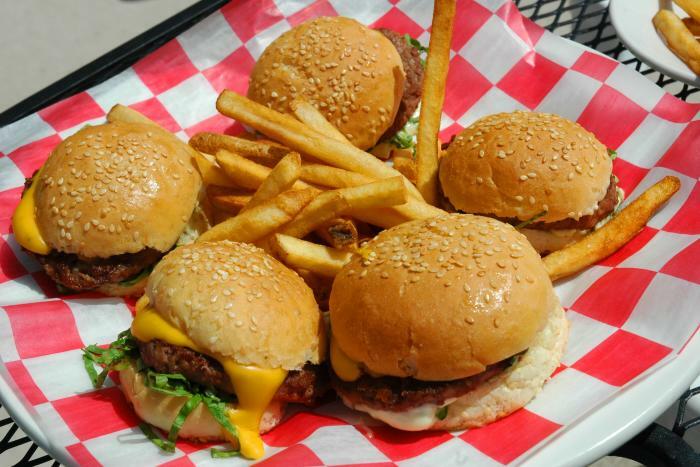 With so many food options, indoor or outdoor seating, and a fun staff, Slabtown Burgers is a must-stop in Traverse City. Dish Cafe - Find yourself in a welcoming environment filled with great food and great people at Dish Cafe. 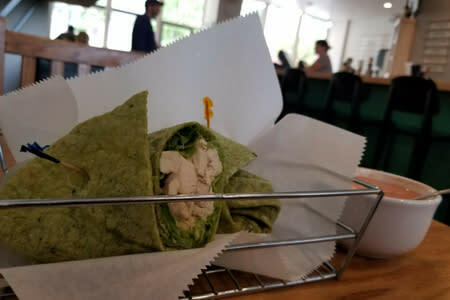 They offer many options that are both healthy and delicious, whether that be a signature wrap, any of their powerhouse salads, or a flatbread topped with your favorite items. It’s a great spot for a meal as its location is downtown, accessible if you’re exploring the city or making your way from West End Beach. Ham Bonz - Get your meat fix at this hidden gem of Traverse City. If you’re looking for an unreal breakfast spot, this is your calling. Ham Bonz has been serving the community for over 20 years, so they know a thing or two about good food. Their breakfast offerings include pancakes, many omelet options, and specials with all the fixings. Moving on to lunchtime, you can try any of their sandwiches with ham, steak, turkey, bacon, corned beef or pork, grab some homemade soup, and throw in any of their sides to complete your meal. J&S Hamburg - Great for a quick meal anytime, J&S Hamburg is a staple for downtown Traverse City. Perfect for both kids and adults, this diner will fill your hankering for any type of American food you could ask for, from burgers to soups to chicken wings and beyond! Established in 1938, they have been serving the community for 80 years! Nada’s Gourmet - If you’re looking for some fantastic food on the go, this is your spot. Find an always great selection of salads, sandwiches, wraps, and more. Their delicacies such as Nada’s Baklava are a must try if you want something sweet after lunch, or to grab for later. Personally, I recommend trying the Curry Chicken Wrap with Tabbouleh on the side. RJ Kennis was the summer Marketing Intern for Traverse City Tourism. He is going to be a senior this Fall at Hope College, majoring in Communication. In his free time, RJ loves to be outdoors hiking or fishing, reading a book, or attending a sporting event. In Spring of 2018, RJ spent the semester studying abroad in Prague, the capital of the Czech Republic.